So, the EMaker Huxley arrived the other day. This Sunday, my brother and I started putting it together. Building the frame, we encountered some minor issues with the instructions (pieces not listed in the parts list of a step) but updated the wiki as all good citizens does. The machine sure looks neat, and having a MakerBot since earlier , the size of the frame is really impressive. Bigger build envelope in a smaller chassis. On the other hand, the MakerBot was easier to put together, and is probably sturdier if you want to bring it somewhere. 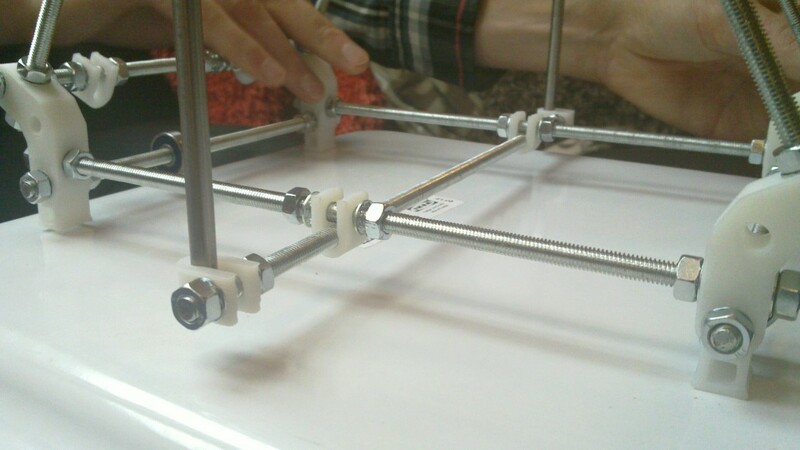 And a final note, the bottom bar, holding the smooth rods for the Z-axis, looks like the picture below. There is no clear image pointing this out in the original wiki. 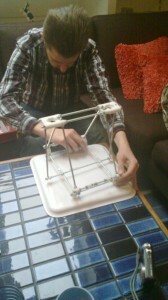 This entry was posted in 3D Printing, eMaker Huxley. Bookmark the permalink.